Welcome to the home of Section Five Boys Lacrosse. For more than seventeen years we have provided information about games, players and events. It is fun to think that this site has been around longer than more of the seniors playing this season. It is also fun to find a good number of current Head Coaches who still have player pages on this web site. In the last few seasons we have served, each year, more than a million pages to more than sixty-thousand viewers from all over the country and many parts of the world. Thanks for your support. Well over 900 student-athletes will be competing throughout the season which will culminate in the crowning of championships in each of the four classes at the end of May. The champions will then move on to the New York State tournaments which will end right here in Rochester when the NYS finals are held on June 8th. This will be the third straight year that we have hosted the tournaments (and 5th in total). There are all kinds of information in the 2018 Wrap Up article. Also of interest are the Player Pages, the Leaders Page and the History Pages. 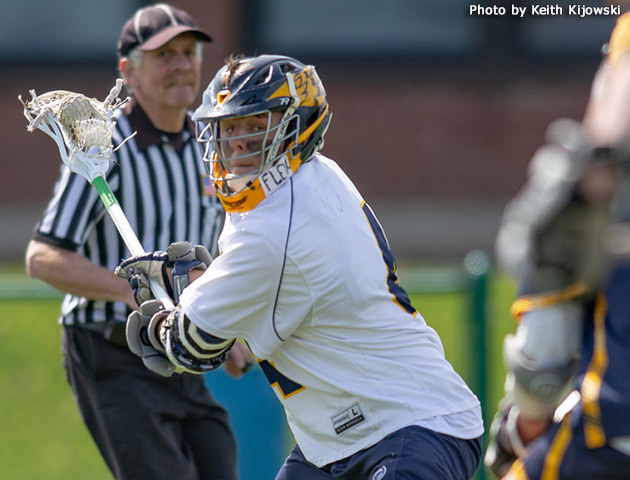 April 18, 2019 - Thursday: DAY IN REVIEW: With 0:17 left in the first overtime period, senior midfielder Noah Germano scored to give the Warriors a 14-13 victory over Wayne. Josh Hauman led Schroeder with 5g-2a and Cole Bolin added 3g-2a. Andy Hamel (5g-1a) and John Reagan (2g-5a) led the Wayne offense. Wayne was the last undefeated team in the section. 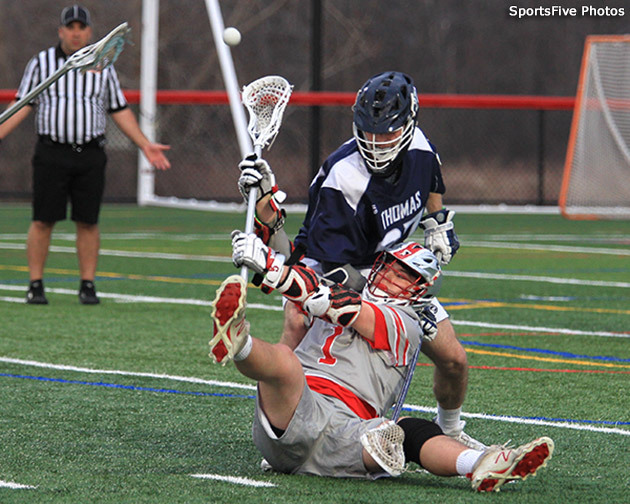 Canandaigua scored four goals in the final quarter to secure a 6-5 victory over Thomas. The Titans played a strong early game, but in the second half, they struggled offensively as they were scoreless for twenty minutes spanning from 0:47 seconds into the third until just under 3 minutes left in regulation. 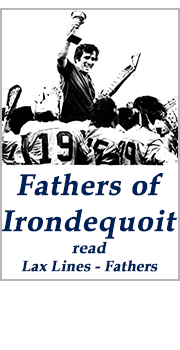 Irondequoit took a 10-3 halftime lead to a 1305 victory at Aquinas tonight with Jack Brennan scoring six goals and Quinn Simonson adding five. Irondequoit goalie Brett Olney recorded 15s (74%) for the Eagles who will play Pittsford on next Thursday. Aquinas will play Wayne on Saturday. 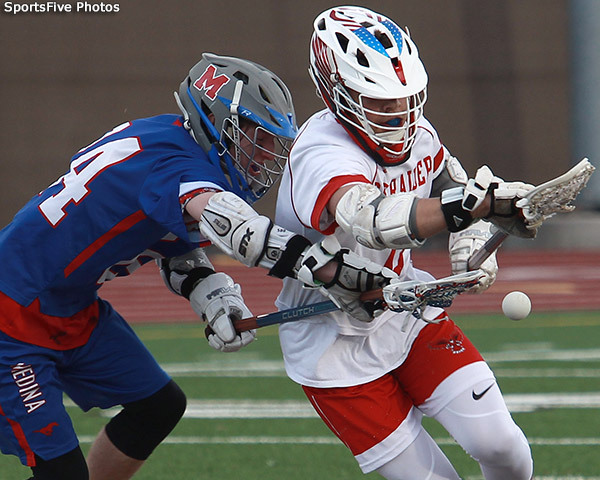 April 17, 2019 - Wednesday: DAY IN REVIEW: After a close first quarter, Fairport scored three unanswered goals in the second and three more in the last quarter to achieve a 7-2 win at Penfield. Junior midfielder Klay Stuver led the Red Raider offense with 3g while junior goalie Tim Defendis made six saves (75%). Luke Condon and Max Hoadley each scored a goal and Travis Wagner made twenty-one saves (75%) for the Patriots who will play Victor on Tuesday. Fairport will take on Thomas, also on Tuesday. McQuaid Jesuit score the first three goals, but Corning added four before the half and the teams were tied 4-4. There was no scoring in the third quarter, despite efforts by the Knights to tie the game late in the game, the Hawks won 7-5. Max Ettinghausen scored two goals for the Knights and Connor Winters recorded 13 saves (65%). Penn Yan had a long drive to get a 18-0 win against Erie Prep (Erie PA). Twelve players made the offensive book, led by Conner Fingar (4g-2a) and Colt Smith (4g-1a). Jeff Kinyoun and Griffin Emerson each made one save for the shutout. Penn Yan will play Canandaigua on Saturday. April 16, 2019 - Tuesday: DAY IN REVIEW: Updated :There were two games scheduled and only one and a half played today. At Canandaigua Academy, the Braves went right to work, outscoring the Panthers 5-1 in the first and 7-3 in the second quarter. After that, Geneva was held scoreless in the second half while Canandaigua added six more. Nine players made the Braves offensive list which was led by Tyler Goode (3g-2a) and Mark Belles (2g-3a). 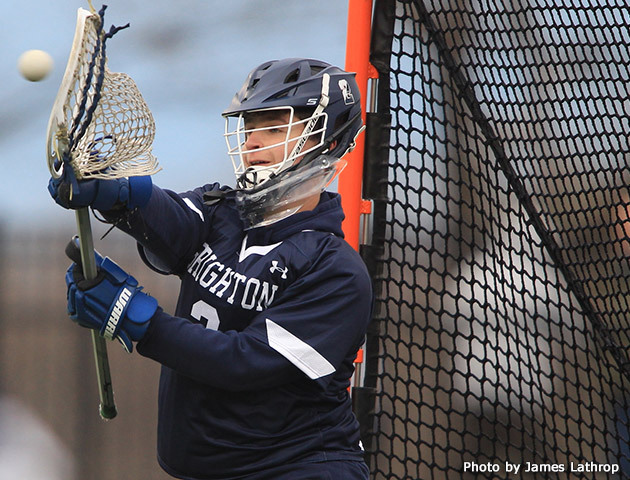 Matt Vierhile won 14 of 19 face-offs and Aiden Kenyon made five saves (63%). Sam Miller led the Panther scoring with 2g. 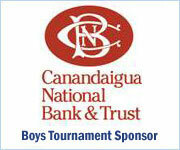 Canandaigua (6-1) will play Thomas on Thursday. Geneva (5-2) will play Greece on Saturday. Meanwhile, at Wayne, the Eagles (4-0) were scheduled to play the Thomas Titans (3-4). Thomas scored first but Wayne came back with two in a row to finish the first quarter up 2-1. 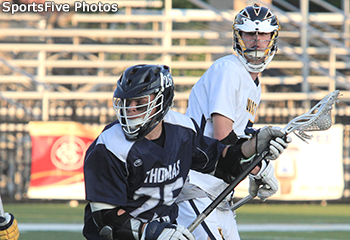 Seven seconds into the second quarter, Thomas scored the tying goal and then scored three more before Wayne scored two goals in the last 1:33 to finish the half with Thomas up 5-4. Darkness was a factor in the second quarter, but the lights were not available. At the halftime break, more work was done to try to get them on, but after about forty minutes the game was suspended. The game will be picked up for the second half on MONDAY, APRIL 29th at 5:00 PM. A photo gallery is available. 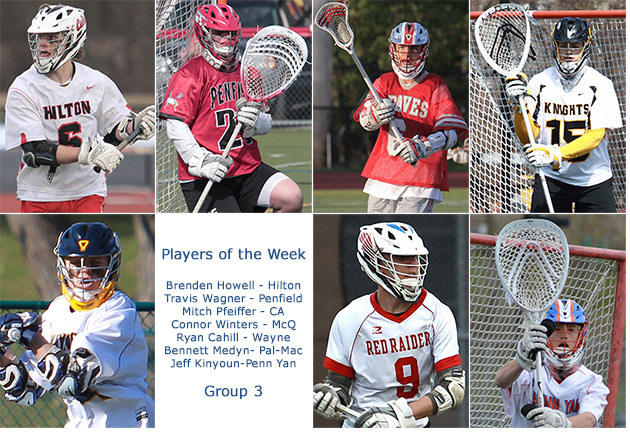 Section V Boys Lacrosse Coordinator Mike Simon and conjunction with the Connors and Ferris law firm have restructure the Players of the Week awards and for the first time this year, there will be offensive and defensive winners in each of the four classes. 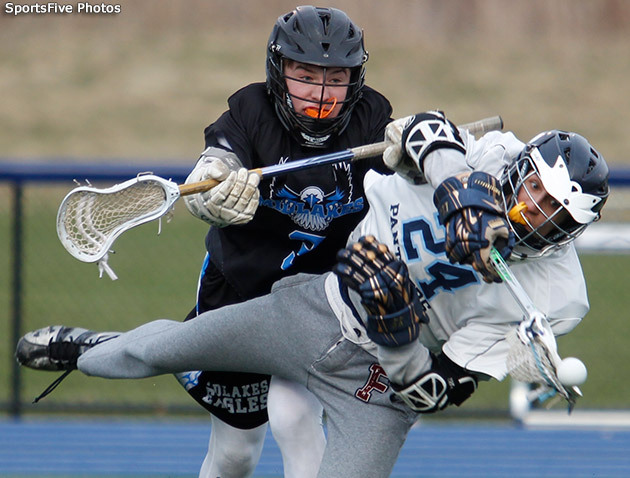 April 15, 2019 - Monday: DAY IN REVIEW: In the only game played today, the Bloomfield-Honeoye Pride defeated the visiting Gates Chili Spartans 13-9. After a 1-1 tie in the first quarter, the Pride took off with six unanswered goals and never looked back. 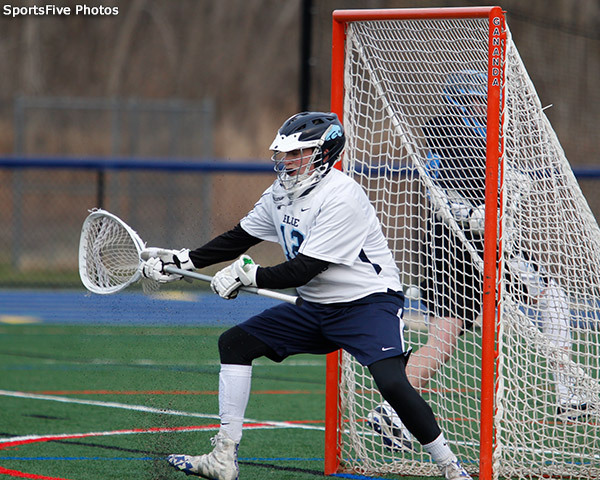 Sophomore attackman Max Willix (4g) and senior midfielder Devin Campbell (2g-2a) led the offense while sophomore goalie Owen Saxby recorded 11 saves (55%). 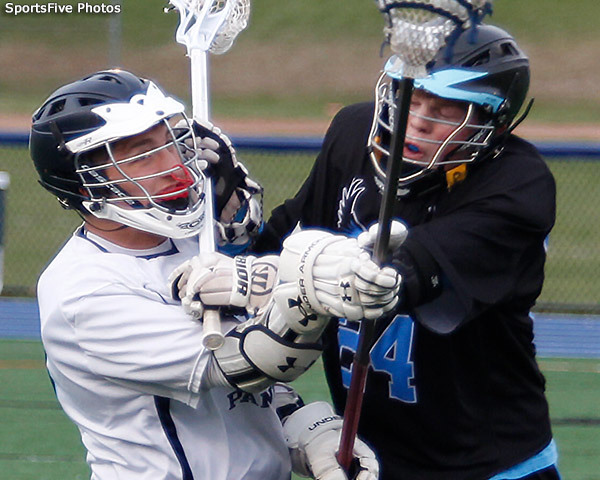 Blake Palozzi led the Spartan effort with five goals. April 15, 2019 - There were forty-two games played last week and a number of exciting ones. At the moment there are seventy-one out of section games scheduled and thirty-nine have been played. Section Five has won twenty-two and the out of section teams have won seventeen. There were games each day from Monday through Saturday. On Monday, Pal-Mac beat Medina. There were fourteen games played on Tuesday and all but one was a mismatch. Hilton fought back from an early deficit to defeat Penfield 8-7 in the first overtime period on an unassisted goal from Brenden Howell. The Bath Rams won the first game of their season as they posted a win over Batavia-Attica-Notre Dame (BAND) on Wednesday. Once again there were many mismatches in the sixteen games played on Thursday. On the other hand, Penn Yan won a big game (4-2) with Penfield. Hilton was off to its best start at 5-1 with their 8-7 win over the Greece Storm. 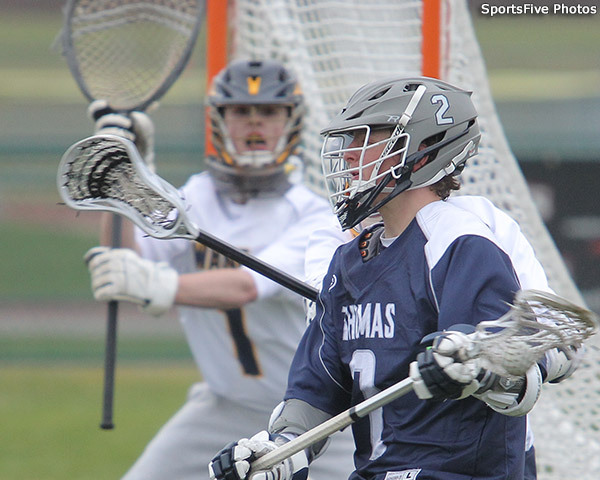 Thomas was a 6-4 winner over Schroeder in Webster and Pittsford was an 11-7 winner over Rush-Henrietta. Fairport posted a demonstrative win (14-5) at Ithaca (Section four) on Friday and on Saturday, Section Five teams won six or eight games with out of section team. Winning were McQuaid Jesuit, Penfield, Thomas, Pittsford, Greece and Penn Yan. Brighton lost to St. Joseph (13-11) and Aquinas lost to Canisius (10-4).In a Section Five matchup Wayne defeated Marcus Whitman. Week five starts with fifteen games during the vacation starting with Gates Chili playing at Bloomfield-Honeoye on Monday. There are only two games scheduled for Tuesday. Geneva is at Canandaigua and Thomas is at Wayne. 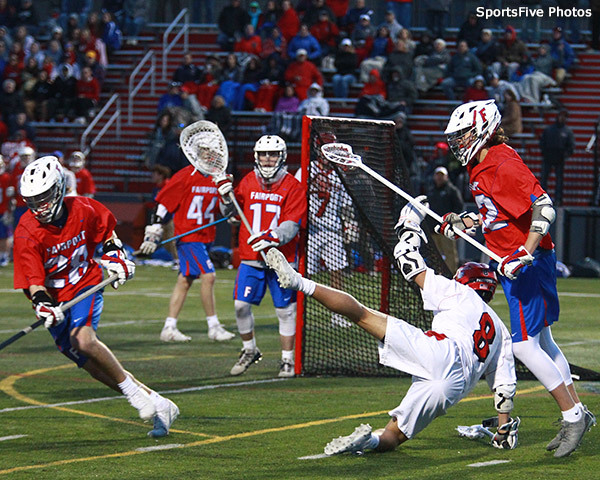 On Wednesday, Fairport plays at Penfield while McQuaid Jesuit and Penn Yan are on the road. The Knights are at Corcoran and the Mustangs are at Cathedral Prep. Three more games will be played on Thursday as Schroeder is at Wayne, Thomas is at Canandaigua and Irondequoit is at Aquinas. Finally, on Saturday six games are scheduled. Penn Yan is at Canandaigua, Geneva is at Greece, Wayne is at Aquinas, Hilton will host West Genesee and Pittsford is at F-M. Victor will once again play the highly skilled Kettle Moraine from Wisconsin. Check out the times and the whole list on the games page. Of course, if your team is playing it is the game of the week. The Week in Review for previous weeks can be found at: week 1, week 2 and week-3. 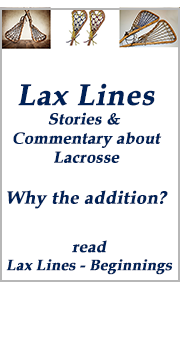 April 13, 2019 - Saturday: DAY IN REVIEW: Section Five teams dominated against Section Six today, winning six of the eight games played. Winning were McQuaid Jesuit, Penfield, Thomas, Pittsford, Greece and Penn Yan. Brighton lost to St. Joseph (13-11) and Aquinas lost to Canisius (10-4).In a Section Five matchup Wayne defeated Marcus Whitman. McQuaid Jesuit (5-1) exploded with seven straight goals after trailing 8-6 in the third quarter to defeat St Francis (Buffalo) 13-8. Ryan McEvily Led the Knights With 7 Goals and Max Ettinghausen tallied 4 goals and 1 assist. Also scoring for McQuaid, Alex Klimowski (1g-2a) and Nick Opett (1g- 2a. The Knights won 21 of 25 faceoffs. Penn Yan took control quickly scoring the first three goals and then coasted to a 9-2 win over visiting Nichols. Colton Smith (3g-1a) led the Mustang offensive book that included seven players. 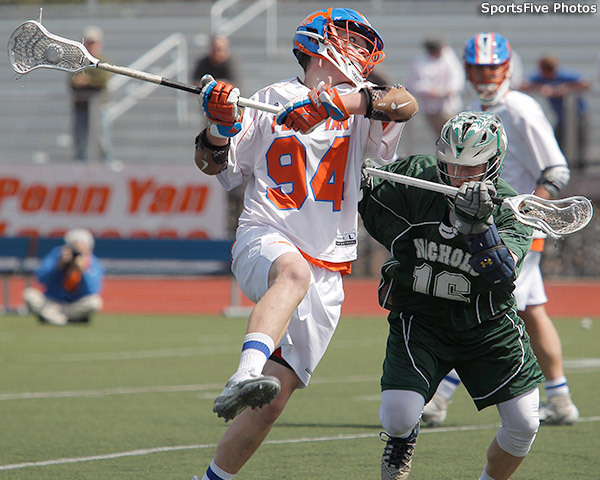 Connor Finger helped give Penn Yan a great deal of ball time winning many faceoffs in the first half. Goalie Jeff Kinyoun made seven saves (78%) including several taken right on the crease. 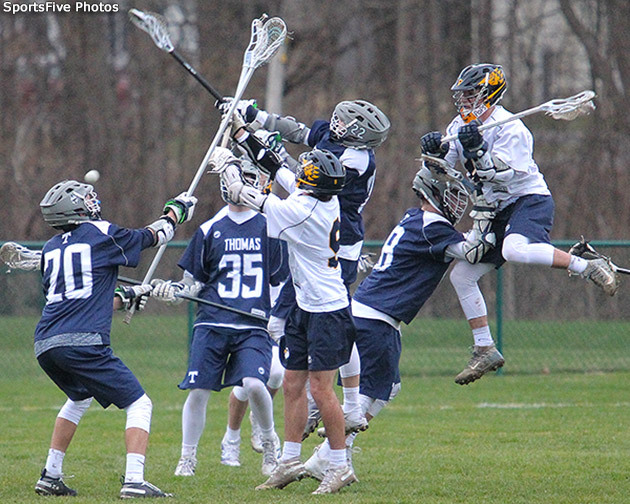 April 12, 2019 - Friday: DAY IN REVIEW: Fairport (4-1) seems to have had little difficulty as they defeated Ithaca of Section IV (4-2) in the only game played today. Fairport will play Penfield on Wednesday. Ithaca will play Corning on Monday. April 11, 2019 - Thursday: DAY IN REVIEW: Once again there were many mismatches in the sixteen games played today. On the other hand, Penn Yan won a big game (4-2) with Penfield. Hilton is off to its best start at 5-1 with their 8-7 win today over the Greece Storm. 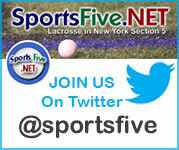 Thomas was a 6-4 winner over Schroeder in Webster and Pittsford was an 11-7 winner over Rush-Henrietta. 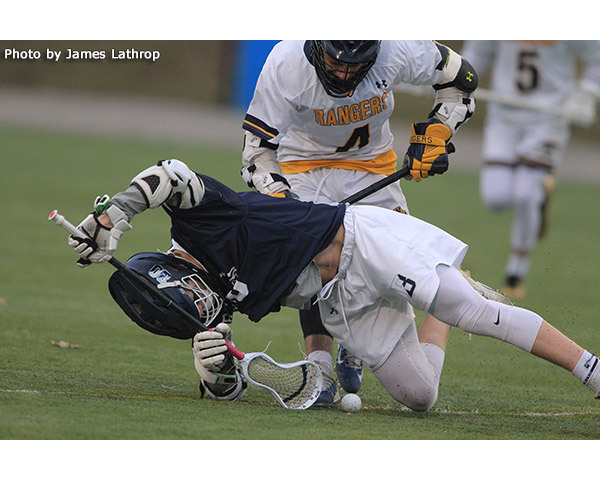 Pittsford scored the first goal 0:43 into the game on their way to an 11-7 win over Rush-Henrietta. The Royal Comets forced the tie three times but did not take a lead throughout the game. The Panther’s Ben DiGiovanni scored the first of his 5g-2a for the opener off a feed from Nathan Strauf. RH responded five minutes later with Zack Lenhard scoring the first of three tying goals. Both teams kept up the pressure for the rest of the half. With 0:06 remaining in the first half, Gunner MacMillan scored an unassisted goal for the second tie. The third quarter began similarly to the first with DiGiovanni scoring less than a minute into the quarter. This time the assist came from Ryan Dumont. The final tie game at 5-5 with Nick Cowie scoring for the Royal Comets. At that point, Pittsford took over and scored four unanswered to secure their lead. The Panthers held off any late push to secure their third win of the season. Pittsford junior Max Murphy finished 10/12 at the draw with a team leading 9 groundballs. Defenseman Jack Wallace finished with 4 takes to lead the Panthers. In the cage for the Royal Comets, Cameron Kuzniar recorded 15 saves. Hilton took control after the first quarter, leading 3-2 after 12 minutes. The remaining quarters were all tied with 2-2 in the second, 2-2 in the third and 1-1 in the fourth. The Cadets were led by Zach Boyatzies (3g) and Tyler Hacker (1g-2a). 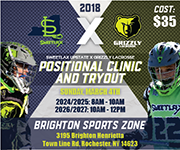 Also winning today were Spencerport, Victor, Irondequoit, Geneva, Marcus Whitman, Pal-Mac, McQuaid Jesuit, Bloomfield-Honeoye, Canandaigua, Brighton and Midlakes. 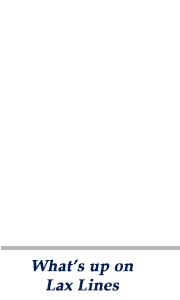 April 10, 2019 - Wednesday: DAY IN REVIEW: The Bath Rams won the first game of the season as they posted a shutout over Batavia-Attica-Notre Dame. Eleven players made the offensive book which was led by Jamie O'Neil (3g-6a) and Jordon Deats (4g-3a). Bath goalie Dylan Hoad made one save (100%). Geneva won today against a scrappy and previously undefeated Midlakes team. 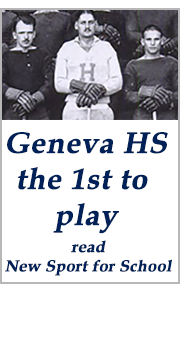 Geneva took a 5-1 lead and then Midlakes stormed back to make it 5-4 in the 2nd quarter. The rest of the game was hard fought with a sudden bunch of penalties at the half. The Panthers took off in the second half and won 17-9. Sam Miller led the Geneva offense with 6h-1a. Brandon Macdonell led Midlakes with 3g. 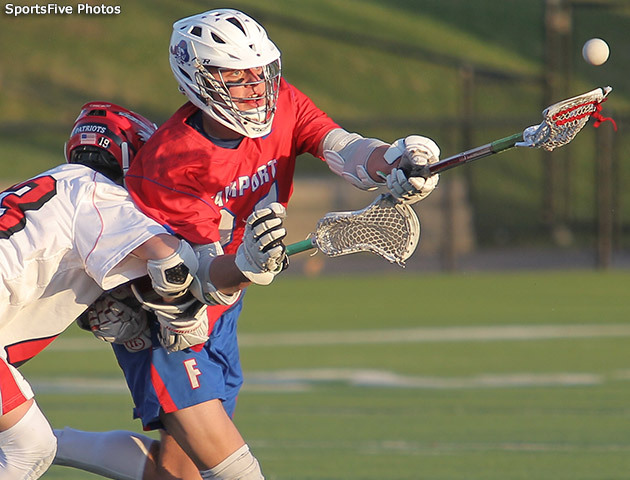 Fairport took a 9-1 lead at the half before finishing 13-3 at Pittsford. Eight Players made the offensive book for the Red Raiders with Klay Stuver (6g_2a) leading the list. Time Defendis made nine saves (75%) for Fairport who plays Ithaca on Friday. The Greece Storm won their third game of the season with a first half performance that gave them a 6-1 lead and eventually a 9-4 win from Rush Henrietta (5-2). Scoring was even with the Storm as seven players made the book. Nicholas Leonardi led with 1g-3a and Nicholas Chilano recorded 7s (64%) for Greece who will play Hilton on Thursday. Also winning today were Geneva, Brighton, HFL, Schroeder, Canandaigua, Penn Yan, Victor, Marcus Whitman, Newark and McQuaid Jesuit. 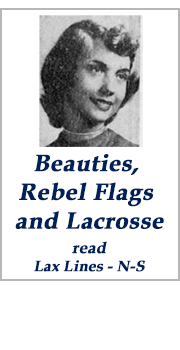 April 8, 2019 - Monday: DAY IN REVIEW: Palmyra-Macedon produced seventeen unanswered goals in the first three quarters with twelve different players making the offensive scorebook. Zach Baker (2g-4a) and Jake Gallina (3g-3a) led the scoring for the Red Raiders (5-1) who will play Waterloo on Thursday. 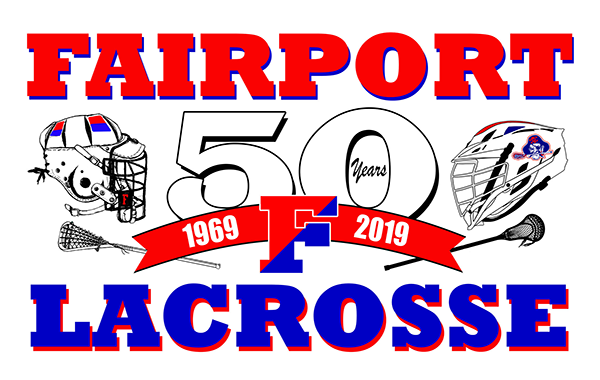 February 15, 2019 - Updated: In 1969 Fairport Lacrosse began their scholastic lacrosse journey with the formation of their first Varsity team. So... 2019 is the 50th year and the Red Raiders will celebrate on May 10th and 11th with JV, Varsity and Alumni games. The plans are more settled now and include an alumni game, socials, parties and fun. The committee is looking for registrations for the various events and donations, in general. 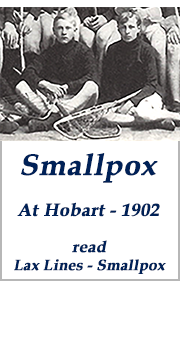 Find out more at www.fairportlacrosse.com. 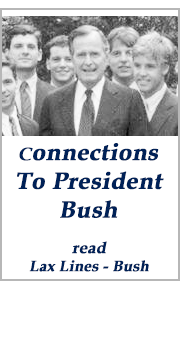 Thousands of articles are available from the NEWS PAGE.